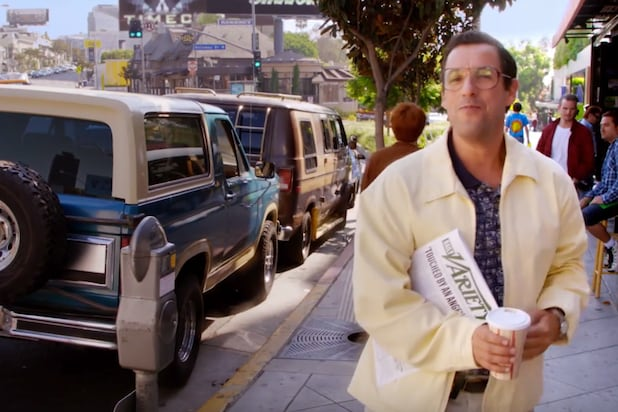 "Sandy Wexler"Rotten Tomatoes Rating: 33 percent "There's no way to recommend it, yet I wouldn't ask for my two hours back (though I do wish that they could have been sped up somewhat)" New Yorker critic Richard Brody wrote. 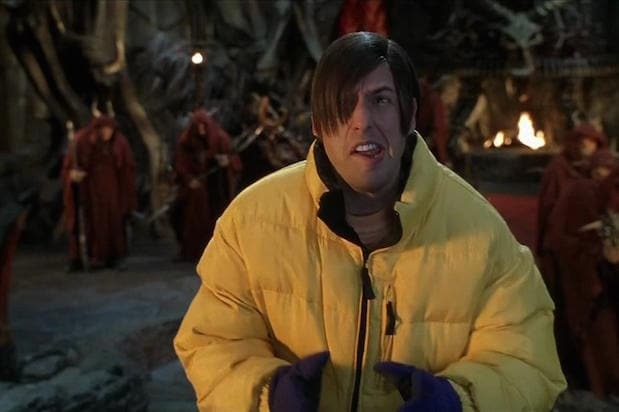 “Little Nicky”Rotten Tomatoes Rating: 22 percent “Like spending 84 minutes in Hell,” critic Christy Lemire wrote when it hit theaters in 2000. “That’s My Boy”Rotten Tomatoes Rating: 20 percent “Vulgar, trite, sexist, misogynist, hacky, tacky, gross, sentimental and stupid, with occasional flourishes of racism and veiled homophobia thrown in to boot,” TheWrap’s Alonso Duralde wrote in his 2012 review. “Just Go With It”Rotten Tomatoes Rating: 19 percent “An early contender for worst movie of the year. If they were showing this on an airplane, I'd ask for a parachute,” Richard Roeper wrote in 2011. “Pixels”Rotten Tomatoes Rating: 17 percent “A middle finger aimed right at the audience,” The Verge critic Bryan Bishop wrote in 2015. “Blended”Rotten Tomatoes Rating: 14 percent “I felt like it was crushing the soul out of me. But it's still not as bad as Grown-Ups 2,” TheWrap’s Alonso Duralde wrote in his review of 2014 movie co-starring Drew Barrymore. “I Now Pronounce You Chuck & Larry”Rotten Tomatoes Rating: 14 percent “Even unrepentant homophobes deserve funnier,” Chicago Tribune Michael Phillips wrote in his 2007 review of movie about two firefighters who pretend to be gay to get benefits of a domestic partnership. “Grown Ups”Rotten Tomatoes Rating: 10 percent “I felt a deep sadness every time the audience laughed and the sounds of their chuckles turned into the ringing of the cash register, and all I thought was a grim, simple truth: This, America, is why we can't have nice things,” critic James Rocchi wrote of the 2010 reunion flick starring some of Sandler’s best buddies. “The Cobbler”Rotten Tomatoes Rating: 9 percent “A movie like this, in which not a single scene comes together, in which almost nothing makes you laugh or cry or think, reminds you that it's truly a miracle when movies work at all,” Pulitzer Prize winner Wesley Morris wrote in 2015 about the surprisingly bad film from “Spotlight” director Tom McCarthy. “Grown Ups 2”Rotten Tomatoes Rating: 7 percent “Yes, it's time for another visit to the Adam Sandler Death-of-Cinema Fun Factory, the big-screen version of a terrible sitcom where laugh tracks are replaced by the co-stars chuckling at their own awful material,” TheWrap’s Alonso Duralde wrote about this unnecessary sequel in 2013. 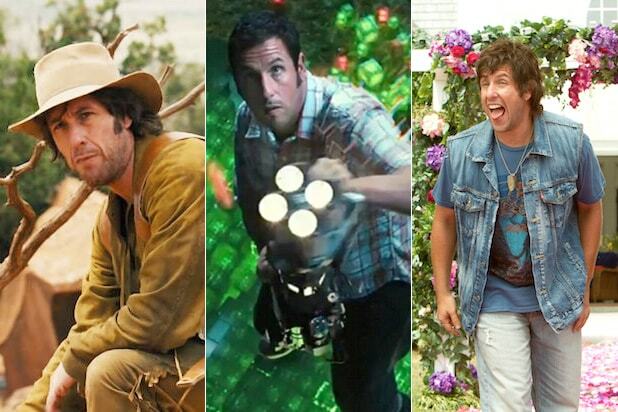 "Jack & Jill"Rotten Tomatoes Rating: 3 percent “Comedy moved on from the mid-1990s, and it's time Sandler did, too. ‘Jack and Jill’ even gives fart jokes a bad name,” critic Jake Coyle wrote in 2011. "The Ridiculous Six" Rotten Tomatoes Rating: 0 percent "Thanks for nothing, Netflix," Chicago Sun-Times critic Richard Roeper wrote.